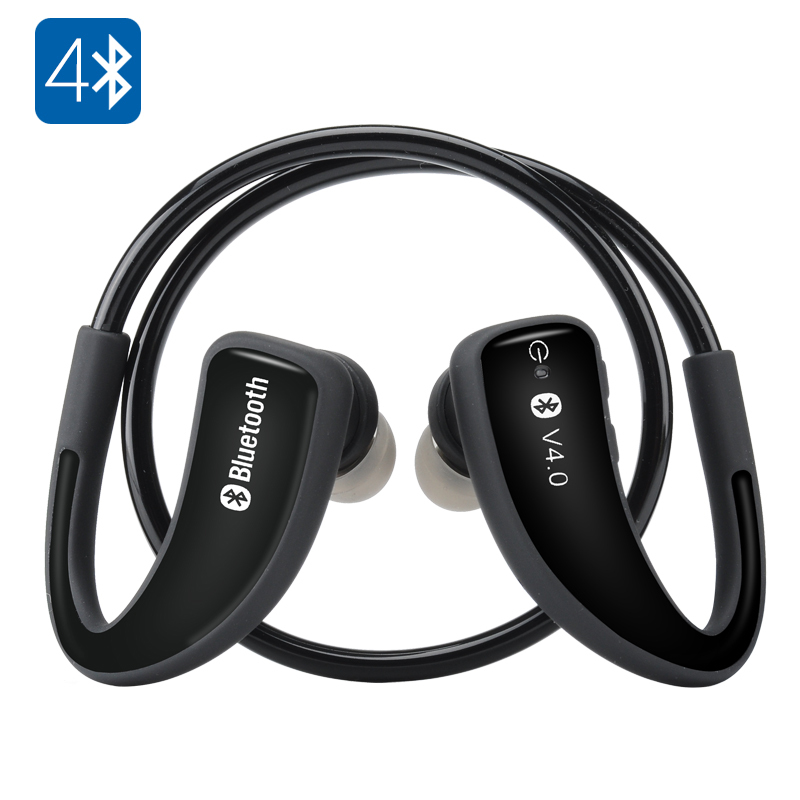 Successfully Added Sports Bluetooth Earphones - BT4.0, Sweat Proof, Hands Free, 5 Hours Usage Time, 10 Meter Range to your Shopping Cart. This stylish sports Bluetooth headset is the perfect wire free way to bring music to your ears when on the go. Simply pair it with your smartphone, tablet or other Bluetooth music player and enjoy fantastic quality audio thanks to the BT4.0 connectivity. With its sweat resistant design it's the perfect way to listen to music while working out. whether on the treadmill or hitting the streets this Bluetooth headset comes with different soft silicon ear buds so will fit comfortably in almost any ear. Having a built in rechargeable battery the earphones bring up to 5 hours of enjoyable music playing from each charge. It can sync to multiple devices and as you can use it with up to two smart phones at once you're certain not to miss any important calls. To pair with your Bluetooth device just search for the SM808 device under your Bluetooth connections list and the LED indicator light on the earphones will turn blue once your connected. These Bluetooth Earphones come with a 12 months warranty, brought to you by the leader in electronic devices as well as wholesale Bluetooth gadgets..